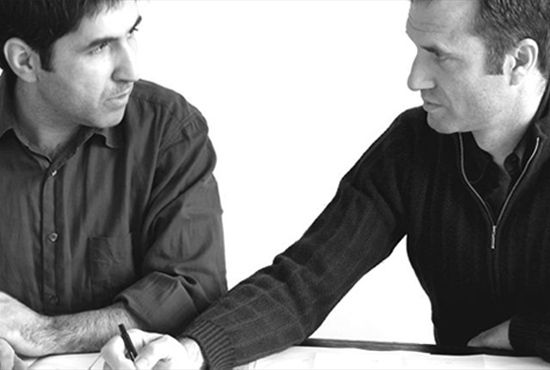 Paul+O Architects is an award-winning London-based architectural practice. Founded in 2002 by Paulo Marto and Paul Acland, who both hail from the Antipodes (Southern Africa and New Zealand respectively) the practice is London based with an international focus. Designing in a contemporary idiom using traditional materials, projects are distinguished by a rigorous approach and attention to detail, which produces an architecture of uncompromised quality. Whether building in an urban or rural, historic or modern setting, the context of each project is integral to the evolution of the design, resulting in a portfolio of unique buildings which include a universally acclaimed country house in Suffolk, a radical remodelling of a Georgian terrace in London, and a pool house pavilion in a country house estate. The practice offers a holistic architectural service with expertise extending to include landscape design, interiors and the design of bespoke furniture and fittings to ensure the delivery of buildings and gardens with design integrity, both inside and out. Our work has been recognized in international award programmes including BD Architect of the Year Awards (Finalist, 2009) Grand Designs Awards (Winner Best Redesign 2010) and Spears Design for Living (Winner Grand Design 2011).